Next to dealing with attorneys, I dislike dealing with insurance companies the most. Insurance companies are money machines and they are evil. They do not want to pay you. Period. Of course there are many times they must pay you however their primary job is not to pay you or to limit the amount of money of what you get. Importantly, this has little to do with your insurance agent. Your agent at XYZ Insurance Company might be the best darn agent in the US. But when it comes to getting paid on insurance claims, a lot of it is out of their control and in control of the underlying insurance company. Insurance is a necessary evil. 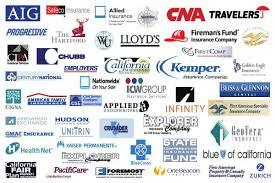 Choose your insurance provider carefully. Be careful. Cover your rear end in all cases when dealing with insurance companies. Do not for a moment believe they are on your side. Laugh at the funny ads but that's all folks. There's a reason they can do so many ads. Keep Track Of Your Net Worth: Hopefully you now know a little bit more about insurance companies. Now the easiest way to grow your wealth is to know where all your money is going. Sign up for Personal Capital, the best free financial tool on the web. I use them and have seen my income and net worth blast off. They keep me motivated to budget, spend and invest wisely.